Did you know you can use your own body fat as a natural, living filler to augment or enhance your appearance? At Inspire Cosmetic Surgery & Med Spa, our board-certified plastic surgeons provide fat transfer services, or fat grafting, to patients wanting to use their own fatty tissues to fill in hollow areas or augment areas for cosmetic effects. Transferring your fat from one area to another is a safe and cost-effective procedure. It also slims one area of your body, such as your abdomen, so that you can enhance another that needs more volume or added curves. The procedure works by removing fat using traditional liposuction in areas of the body with excess fat, then injecting the purified fat into other parts of the body. During the initial consultation, the surgeon will evaluate your overall health, the area(s) of available fat, as well as your skin quality. The area(s) to have grafting will also be evaluated to judge suitability for receiving grafts. This evaluation will help us develop your individual plan. During the consultation, we encourage you to discuss any areas of your appearance that concern you, as well what you hope to accomplish with surgery. This will help us understand your goals and expectations and determine whether they can be realistically achieved. Swelling and bruising are expected in the areas where fat was removed and transplanted, although it will vary among patients. The swelling and bruising will start to subside within 1 – 2 weeks after surgery. A compression garment may be necessary if larger amounts of fat are removed. Most patients can resume modest activity in 7 – 10 days, if small amounts of fat are removed and in 6 – 8 weeks if large amounts of fat grafts are removed. Complete recovery from fat grafting surgery usually takes 6 months. If you have an area of your body that has low volume due to weight loss, aging, or genetics, fat transfer surgery may be a good option for you. 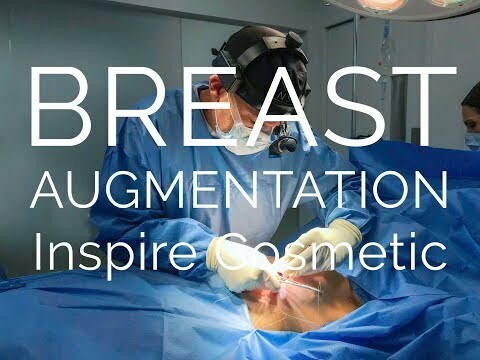 We invite you to schedule a consultation at Inspire Cosmetic Surgery & Med Spa so that we can assess the areas for treatment and help you understand more about the procedure and if it is right for you. Fat transfers can create a smooth, fuller shape in areas as small as the lips, or as large as the buttocks.